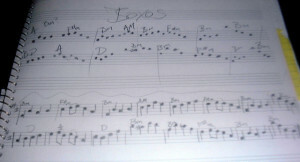 Composing is the creative core of music. For most of human history, composing was thought of as a collaborative process, because it is. Authorship is collective, not individual in the oral tradition. The second we started writing things down, we began down a path toward attributing individuals for creativity. It wasn’t until the Romantic period that this idea of individual musical genius really took hold. This was true even in the run-up to the Renaissance with the printing press, musical notation, equal temperament and the piano all serving as the primary technologies shaping music. Music was still attributed to a collective authorship of tradition, and creativity was literally channeling God and angels and demons. Today, our culture is one that champions the Romantic-era myth of individual creative genius more than ever, thanks to a recording-dominated view of music and musicianship. Great creative works don’t usually come from individual geniuses. They are inspired by a collective tradition built by innumerable creative humans, geniuses and idiots alike. As long as you’re composing music, you are a part of that tradition whether you sell a million records or none. You’re not alone, and your contribution matters. Whether it generates revenue is up to you. This series is about how to create value around musical compositions. It’s not just about how to collect royalties for your songs. We’ll present a holistic view thats starts here with a discussion on how musical creativity and productivity works. In part two we’ll discuss some simple habits and behaviors that every prolific songwriter shares. Part three is a deep dive into copyright around songwriting, presented in a way you’ve never read before. Part four is about how technology shapes songwriting, and how to use it to your advantage. Part five discusses “songcraft”, the art of writing a song that appeals to a wide group of people. Because they’re so important, we dedicate all of part six to lyrics. We include hacks for writing lyrics, and best practices for being productive. The series wraps with parts on “Hits” and “Niches”. Up until recently, most music business advice was on how musicians can compose hit songs. With the music economy moving from valuing the song through copyright exploitation to direct fan patronage, there are greater opportunities to create value as a niche composer. However, there’s nothing wrong with wanting to write a hit song, and for composers, it’s still the only way you’re likely to build an entire career out of just composing. Note there is no section on music theory. While music theory concepts are spread throughout the series (particularly in the “Songcraft” section), I am not a music theory expert, and there are plenty of resources for songwriters who wish to approach the craft from the theoretical angle. The party line you’ll hear from me is this: You don’t need to know music theory to compose great songs, but it sure helps. Before you can be influenced, something has to inspire you. Your creativity is all about how you express your influences, and that begins with what inspires you about music in the first place. This collective idea of authorship I was talking about is all about inspiration. You’re part of a collective tradition. Think about the stories told around the campfire by early humans. Each storyteller would recount a story handed down generation after generation. But each time it was copied, it changed slightly. The storyteller might make the wolf a mountain lion, or set the story in a forest instead of a plain. Perhaps they were subconsciously inspired by dream of being chased by a mountain lion, maybe they just liked the idea. Perhaps they grew up in the forest, not the plain. This is the essence of musical creativity — taking what inspires you and contributing it to the tradition of songwriting. In the less abstract sense, your own composing will reflect all of the other compositions you’ve experienced. The ones you love will work their way into your own, consciously or unconsciously. The ones you don’t respond to will provide important limitations (more on that later) to your creative options, helping you make creative choices. If you’re having trouble being inspired or creative, look at your influences. What process did they use to write the songs you love? What influences did they draw on? Could you write an original song in their style? It’s questions like these that can lead you to solutions when you don’t feel like you have anything original to contribute. The secret is this: Simply by attempting to copy your influences, you will create original compositions. Just like the Native Americans around the fire, you will introduce subtle changes whether you realize it or not. As you start to find your strengths and weaknesses as a composer, you can start making changes consciously, and then intuitively. 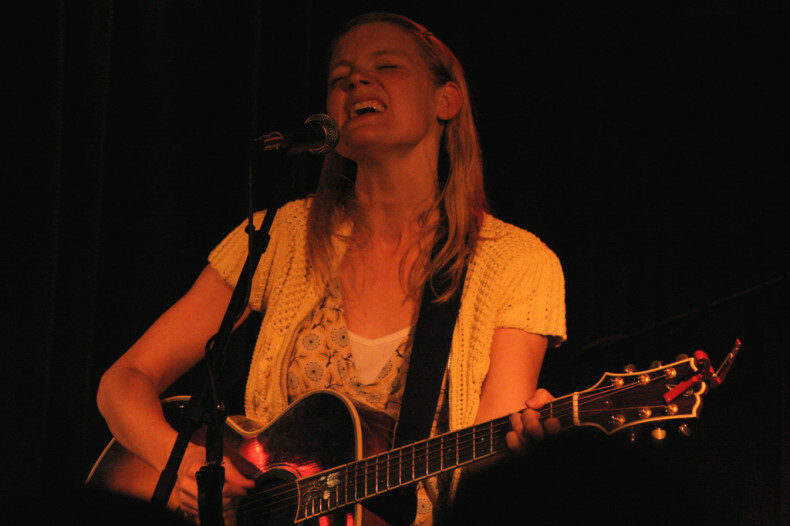 Most musicians start out performing their favorite compositions from other musicians. It’s this cycle of inspiration that drives all musical creativity. As Paul Kirby pointed out in his important mini-documentary Everything is a Remix, composition is far less “original” than how our Romantic-era views of individual creative genius portray it. Composition is a tradition first, individual art second. This is true on the theoretical level as well. Our musical experience is all about how our expectations of the song’s musical forms play out. Our reaction to a song is based on the expectations set by all the songs before it. In essence, our expectation of what the music is going to be like is where we derive the pleasure and pathos in our musical experience. Expectation, by definition, is a limitation. The musician and the listener are both setting limits, consciously or not. It’s meeting and exceeding those expectations that makes someone a fan of your song. It seems antithetical to the idea of creativity, but setting limitations for yourself during the songwriting process can be the secret to productivity. The end result of creativity is production. We’re talking about producing a song. Creative people know that the possibilities to create something amazing are infinite. So much of the creative struggle is to articulate a specific vision out of inspiration so boundless. This is where creativity and productivity are at odds. The creative wants to experiment freely with no limitations, the productive wants to set clear boundaries and goals on the creative process. If you focus too much on creativity, your musician business will suffer. If you’re too productive, your music suffers. The balance can be struck in finding the right set of limitations that can bring out the best art, while sustaining some sort of forward financial momentum. This way, you ensure your best possible musical output in the present, while at the same time building a future for your music. Musical limitations are a long-term commitment, but at the end of the day, it is you who is in artistic control. Perhaps you’ve built a big enough fan base to alienate a certain percentage of them! Choose your limitations as if they are the most important thing in the world, and don’t compromise. Limitations are extremely empowering, and they must be adhered to always. What would their fans think if the White Stripes came out in blue overalls? Your limitations should embody your band’s identity, and your creative goals. Some limitations are not self-imposed. For example, you might only have a 4-track cassette recorder. You might have a thrift shop guitar. Embrace your limitations and find the strengths among the weaknesses. Hand in hand with limitations are challenges. There are many ways of looking at this. I like to say that challenging oneself is a lot like lying to yourself about what you’re like in the future so you can become that future vision of yourself. Goals help you succeed by keeping your purpose present and on your mind 24/7. Similarly, the challenges you face in life are what you devote most of your emotional, physical and financial resources to. Your challenges will consume you 24/7. You will spend your time preparing for these challenges by practicing them alone. Then you will engage in real life, and take on ever greater challenges with ever more success. Anything less than this mindset is like giving up control of your life and career to the winds of fate, and only luck will deliver you to that future self you want to be. For performance, the challenge is getting up in front of bigger and bigger audiences. For recording, it’s making the best-sounding, most representative studio mix. For business, it’s earning a profit and growing assets. So, what is the core challenge of songwriting? It’s not so clear cut, because songwriting is so subjective. Performances are measured by heads through the door. Recordings are measured in sales and streams. Business is measured in dollars. How is a great song measured? One could make an argument for the Billboard charts, but that is really tracking sales, not listens. Spotify and Beats are tracking listens, but only represents a fraction of all fans. It would be virtually impossible to aggregate all methods of listening into one central count of how much each song is being listened to across the world. The charts are approximations of the popularity of recordings, not the songs themselves. Only an omniscient being would know the true popularity of songs as people sing or hum them day-to-day (sometimes just in their heads). The subjective quality of songs extends deeper that frequency of listening. After all, many commercial jingles are heard with far more frequency than hit songs, yet we don’t consider them to be great songs. I believe the most meaningful way to measure songwriting progress is to let quantity dictate quality. I believe the core challenge for the songwriter is in writing as many songs as possible. A songwriter will not make public a song they don’t feel proud of. There are many songs and even more song ideas that end up on the cutting room floor. The only threshold of quality you should have is that artistic integrity, that creative standard you set for yourself. Every songwriter’s catalog represents the cream of the crop from a process that creates many duds. This is why quantity is the foundation for songwriting quality. Some people write songs only for themselves. On the other end of the spectrum are songwriters who team up to engineer Top 40 hits — people who write songs that appeal to the maximum amount of people. Quantity is what unites all songwriters. Most of us lie somewhere in between the extremes. But even at the extremes, one can only judge one’s song quality by the quantity of songs produced within the criteria of quality set by yourself, and/or by your audience. There are two kinds of composers: Those who are “strictly composers”, and those who compose songs that they also perform and/or record. 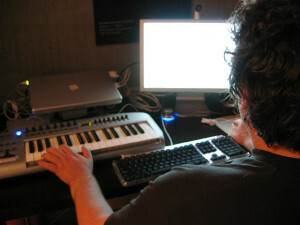 Most people who write songs also perform them, both live and on their own recordings. For these songwriters, composition is just part of the overall musician lifestyle. Those who strictly compose have been a dying breed ever since the invention of the recording. Songwriters have had to fight for survival in an economy that values recordings above all else. Once the recording captured the song, the owners of the recording took over as primary investors and marketers of that song as a product. The songwriter has been getting shafted ever since. There are very few people who do nothing but compose and make a living. Several thousand, perhaps. Those on the classical end of things score films and video games. Those on the pop side write Top 40 hits. You can see how the applications for “professional songwriting” gravitate to the highest-value industries (music is not one of them unless you crack Top 40). The composer-only role is highly competitive and getting moreso. That’s not just because you’re competing with the best composers. You’re also competing with composers who also perform and record, and therefore have a leg up on you when it comes to getting exposure. Unless you are looking to make big sacrifices to dedicate your life to the extraordinarily difficult pursuit of being a composer for big-budget media projects, composition will fold into the musician lifestyle for you. Which is to say you need to dedicate time each day to composing, as you would a rehearsal or recording session. If you don’t have time each day, schedule as much time as you can to compose. Sit down and write songs even if you don’t feel like it. The only way to achieve quality is through quantity, the only way to achieve quantity is to work as much as possible, and that includes the time you don’t want to work. In fact, it’s having this “grit” and working when you don’t want to work that separates the short-term successful from the long-term successful in many of life’s pursuits. The life of a composer is full of songwriting. The songwriting process includes studying influences, reading up on music theory, learning cover songs… anything that might act as fuel for the creative process. Don’t sit and stare at a blank page all day. Change directions. Part of creativity is learning what gets your creative juices flowing, so you know how to turn the tap on. There is no such thing as writer’s block, it’s just an excuse not to write. You won’t ship a song unless you like it, so there’s no risk in writing anything. You can literally write any song you want. That’s why embracing your influences, setting creative limitations and focusing on quantity are the keys to hacking songwriting. (CC-BY-SA) top photo credit: Ed Schipul; middle photo credit: sweetmusic_27; bottom photo credit: Jenny Faber. What Should I Do to Produce, Write and Publish a Hit Song?